HANK PHILLIPPI RYAN: What can we say, gang? It's been quite the year. Newsrooms often create year-ender reports, but yow. Not quite sure I'm interested in seeing any of those. Should we count blessings instead? Look ahead? That's what New Year's Eve is about, right? We will not forget auld acquaintance. And there are two, at least, we especially remember. But let's look at new. Here in Boston, a group of us takes turns hosting New Year's Eve. This year, we're headed to a brownstone in Back Bay, and J and I are supposed to bring the appetizers. At this particular moment, ahem, the actual apps are not yet decided, let alone made. And it is WAY too cold, I mean, WAY, to go shopping. But we will manage when the time comes. All suggestions welcome. Fireworks at midnight, and we will happily and gratefully and yes, optimistically, ring in the new. How about you? What are you doing tonight? It will be a quiet night for us; munchies and champagne and watching the televised ball drop in Times Square. When Jean and I were kids, we always spent New Year’s Eve with our grandmother, watched the televised ball drop to greet the new year, and then helped take down the Christmas tree while we watched the Rose parade later that morning. Some traditions linger; we did the same with our children and it’s always been a special time for us . . . .
Wishing everyone all the best of everything in the new year . . . .
Aw... very lovely! Happy New Year! Since we went out to dinner with friends and played a boardgame after (I know, we got really wild, didn't we) for hubby's birthday this past evening, the 30th, New Year's Eve is going to be a quiet affair. Our Kentucky Wildcats are playing basketball tomorrow, late afternoon/early evening, so we plan to go to mother-in-law's and watch it with her. I haven't decided what we will take over to her house to eat. Then, I'll probably stay up by myself and watch the ball drop on TV. Hubby goes to bed much earlier. The past week and a half have been so busy that I welcome a quiet evening. I love board games—what did you play? Hank, it was a new game that I'd not played before. It's similar to Aggravation, one of our family's favorite games, in that that colored pegs are moved from their separate home bases around the board and back up into the finish spaces, and capturing opponents pieces and sending them back home is similar. The board itself is wooden and the painted surface again looks like an Aggravation board. However, the big change is that each player has a deck of playing cards and each turn they turn over a card that will dictate their moves. So, not played with dice. The different playing cards have some peculiarities for their moves, too. It was loads of fun, but I'm not sure where you can buy the board. Our friend's brother made theirs. It was particularly fitting that our friend, who has been battling lung cancer for four and a half years, won. This prolonged extreme cold spell has affected New Year's Eve plans here in Ottawa. They are cancelling several outdoor activities (musical performances) at Parliament Hill since the temperatures tonight are forecasted to be -29C/-20F (-36C/-30F with windchill). Too dangerous for people to stand around outside for 2-3 hours. Fortunately, the fireworks are still supposed to take place but I can see them from my apt so I will stay warm and watch from indoors. Wow, those are certainly deep-freeze temps, Grace. How lovely that you can see the fireworks from the comfort of your home. Yes, this is day 6 of the extended deep freeze here...and it is supposed to get even colder on Jan 1 and 2 before we get a big of a break for a day or two. Those temperatures and my broken ankle are two good reasons why I am spending most of this week indoors! They gave a warning in Maine - frostbite will start on any exposed flesh within thirty minutes due to the severe temperatures/windchill. I think we're beginning to see the reason for Iceland's Jólabókaflóð: all those new books give you a good reason to stay inside by the fire! Grace, my husband was remarking how bitter cold it was when we were out last night. Temperature read 16 on the car reading. I mentioned to him that he probably couldn't survive where it was really cold, like where you are. Now, you know what real cold is, Grace. I'm glad you can see the fireworks from your apartment. Your New Year's Eve plan sounds wonderful, Grace. We're not going to get anywhere near that cold here in North Texas, but it will be very cold for us, and we're supposed to get some "wintery mix"--that sleet/black ice/ice balls sort of precip that isn't pretty but is dangerous--just in time for all the NYE drunks to get out on the road. I'll be staying home, and may have company from a young friend who is in town for a house-sitting gig. Otherwise, I plan to make a big pot of chili and snuggle in with my critters. We may abandon the chili and opt for making waffles, which sounds much more festive, don't you think? Happy New Year Reds and friends! It'll be quiet here. I need to clear the snow off my car and deck, which will be challenging, as I got hit by a car walking on my lunch break a few days before Christmas. I'm still extremely sore. I don't know if I'll get out of the house to do anything else. It's so cold, and I don't know yet what the roads are like. Staying home, drinking tea, reading, and maybe watching some DVDs will be safer! I'm having knee surgery next week (has nothing to do with my injuries, except that it's been a little harder to move around since the car incident)and I don't want to tempt fate! Oh poor DebRo! That is incredibly terrible— so grateful you are on the way to recovery. So scary. Keep us posted on the surgery, OK? Yes, you are very wise. Take it easy! Good heavens, DebRo! Keep warm and safe and let yourself rest and recover. Tea, books and a few good movies sound like my perfect New Year's Eve anyway! DebRo, that is awful!! So glad you weren't more than bruised, but that is bad enough. Tea and books--perfect! You said that so casually, as if getting hit by a car was like stubbing a tie! Ouch! Hope you recover quickly! Thanks, Mary/Liz. I'm making pretty decent progress and am so grateful things weren't worse.Have a great 2018! OMG, Deb. What an awful thing to happen. I hope your coming year is without more drama, and that your knee surgery is a big success. Be well, dear. Oh Deb, hit by a car, so scary! Wow cannot believe your feet weren't crushed. We will be sending good wishes for the knee surgery!! Thanks for the good wishes! There's been a lot of drama in my life in the past thirteen months, and I'm hoping for a dull year. Except of course that I do look forward to the excitement of new books by my favorite authors! We're "camping out" at our new home in Pennsylvania, having driven up after Christmas with family in Maryland. Since Thursday we've closed on the house, taken delivery of some stuff, gotten the cable installed, and made our first forays into shopping for blinds. It's the first time we've bought a house that hasn't been lived in, so there are a few extra things to do. Our first morning here we woke up to snow, which was great fun. In a few minutes we're off to visit one of the many nearby Friends Meetings. Later on a walk, reminding ourselves of walking in the snow in Columbus 40 years ago. I don't think we'll make it to midnight. Sending good wishes to all here for a fun evening and a wonderful new year! Best wishes to you, too, Jim! exciting to start the new year in a new house Jim! We are still at my mother-in-law's house after yesterday's family Christmas. Tonight a smaller group will ring in the New Year here with televised ball drop and champagne. Tomorrow we go home and the tree comes down during the bowl games. As to your appetizer, I might recommend stuffed jalapenos. Super easy to make but always a big hit. You need 22 jalapenos, cut in half and seeded. The stuffing is a pound of hot Italian sausage, a brick of cream cheese and a cup of mozzarella. I don't remember the oven temp or bake time, but I bet you wouldn't go far wrong with 350 for 15 or 20 minutes. Stuffed green papers (or red ones) might be easier on some people's tummies. New Year's Eve is usually a quiet night in for us. Snacks, sparkling something, a viewing of Young Frankenstein. The Boy is off snowboarding for the day and friends have asked us over for a bit. But considering the single digits, I foresee a lot of sitting in front of a roaring fire, too. Swedish meatballs. I've never made them but I LOVE to have them. We are enjoying a quiet house... the kids and grandkids left yesterday and I plan to write after not writing for days and days. And eat leftovers. Boring, I know. I love it that way. Happy New Year, Reds and Red readers! Hank, I try to always have the ingredients on hand for a hot artichoke appetizer. It's easy to make, takes only three-four ingredients, and is always popular. A can of artichoke hearts, drained and chopped. Add a cup of mayo and a cup of Parmesan (out of the green can is fine), mix and bake for 15-20 minutes at 350, or until bubbly. If you want, you can sprinkle some cayenne or other kind of pepper on top for color and to give it a little zing. Serve with crackers; Triscuits are perfect with this. You can add a half-cup of some other kind of cheese, if you have it, or want to stretch the recipe, and some people like to add a little garlic powder. And you can zap it in the host's microwave for a minute to warm it up when you get to the party. We made a half-hearted attempt at having a party, because a widowed friend was looking for something to do tonight, but then I got the crud for a few days, so we cancelled. Truth to tell, we were both relieved. The half of our friends who didn't already have plans weren't well, either, and we actually prefer to stay home together on NYE. So Steve will be back from errands soon and he'll start the fire, and later on I'll mix Sazeracs after we polish off some leftovers. Hopefully, I'll have all the Christmas decorations off the living room furniture by then. Cheers! Hoping you all stay warm and cozy. Oh thank you! That sounds perfect!! Karen, how do you make a Sazerac? 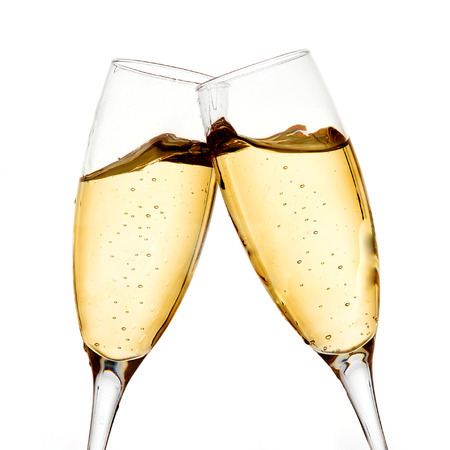 Is it a NYE tradition for you, or just a favorite drink? We were in New Orleans for Thanksgiving in 2014, and our friends there took us to various places for Sazeracs, and they became a new favorite. That year I decided to make them for New Year's, and now it's a tradition. So, yes, on both counts! And it's special because we almost never have it any other time. Preparation: Rinse a chilled old-fashioned glass with the absinthe, add crushed ice and set it aside. Stir the remaining ingredients over ice and set it aside. Discard the ice and any excess absinthe from the prepared glass, and strain the drink into the glass. Add the Lemon peel for garnish. I don't discard the absinthe (I use Pernod), but use a bit less than called for. And instead of a sugar cube I use simple syrup, because it mixes faster. I've only used Bullitt Rye, but you can use another kind. Some recipes call for cognac, but that makes it a completely different cocktail, in my opinion. The Peychaud's bitters is key, and no other kind will do because that makes it a Sazerac. Please note: this is a POTENT drink, because it's made only with spirits--and the absinthe, in particular, is powerful stuff--so drink carefully. Ann, the Parmesan in the green can melts easier, and almost everyone has it in their fridge, right? It's been a few decades since either of us felt the need to stay up until midnight, much less go out on New Year's Eve. And this year we are enjoying more than a foot of fresh snow since last night. I doubt we'll leave the house again in 2017. I am with you Hallie. Not that I plan to write, but leftovers figure largely in the meal plans. Yesterday I made two lots of sausage rolls for Julie's family party plus nine loaves of date nut bread, her mother's recipe, to take to each brother, a few cousins and the odd extra family. However, it's the New Year, and in order for it to be filled with delirious pleasure, we must have black eyed peas, a day of luck for each one eaten. I'd prefer fresh ones, never dried, but fresh aren't available up here on the tundra. So I have frozen ones, and plenty of Robertson's ham. Cornbread of course, and whatever vegetables are looking wilty in the fridge -- I started to say "hydrator." Does anyone else still call the veg drawer that? There were a lot of lowlights in 2017. But a huge highlight was seeing Deb again and meeting all the rest of the Reds at Bouchercon. Each of you are just as wonderful as I imagined. Thank you for being in my life and including me in yours. that's a great quote for NY Ann. we so enjoyed meeting you too! Hank, if you're really stuck without supplies, I went to a party once where a desperate friend fried up a pound of bacon as an appetizer. It was a HUGE hit. Last night we stayed up talking and drinking prosecco until 1am, which means tonight we'll probably both ring out by 11pm! If you opt for the bacon, Hank, roll it in brown sugar and bake it on skewers. Delish! Oh, that is BRILLIANT! Gigi, you mean--bake uncooked bacon? I have relatives who would KILL for that bacon! They would call it "the best party food EVER!" The brown sugar and bacon sounds spectacular! We are staying home, which is our New Year's Eve tradition. It's very cold, maybe not by Canadian or New England standards, but cold for us, down to 14 F here by tonight, and the streets are sleety. We'll have a roaring fire, and I bought two lobster tails and some cooked shrimp yesterday, so special but easy treats. I'll have a little champagne--by myself, as Rick doesn't like it. Bah. Maybe we'll watch the ball drop, or if I'm really lucky, I can talk him into watching The Holiday with me, my favorite New Year's Eve movie. Today I'll be making my famous black-eyed pea soup, to eat tomorrow while we take down Christmas. Wondering if it will be too icy to get the tree out to the curb!!! Everyone stay safe, and warm, and think positive thoughts for the new year!!!! Debs, would you mind sharing your black-eyed pea soup recipe? Kathy, that's a link. Scroll down until you get to the Black-eyed Pea Soup with Arkansalsa and Creme Fraiche. It's from Crescent Dragonwagon's Dairy Hollow House Soup and Bread, one of my favorite cookbooks ever. It's out of print but you can usually find used copies. I make the Skillet-sizzled Cornbread from this book to go with the soup--it's to die for. Ann, maybe the drunk driving won't be so bad this year now that there is Uber, but we still prefer not be out--especially with slick streets! We went out last night with friends, so tonight we'll also be doing the #boringbutgood New Year's Eve! We might try a new recipe from "Back Pocket Pasta," a cookbook that was a Christmas gift. A good cocktail, something from Acorn, and in bed well before midnight. A perfect evening any night of the year! Good riddance 2017! That sounds so great. Staying home has got to be the best. I'm going to be an Eeyore and stay home. Mom fell in her apartment Thursday night and broke a bone in her arm. Now she is marooned at the hospital until probably Tuesday when we can set it up for her to go over to the rehab/skilled nursing unit at her senior community. I'm about to make a run to her apartment to pick up some things for when she can leave. The COLD front is coming this afternoon. I'll spend a few hours visiting and then head for home around 5:30 or so. Debs reminded me about the blackeyes. I'll have to cook some for tomorrow for good luck. I am going to sit down, read, and maybe have a drink or three when I get home. Oh, PatD. You are such a good daughter. And yes, a drink or three. Give your mom a careful hug from us all. We/re staying home, and will watch the four (first four) Thin Man movies on TCM instead of all the other hoopla. We usually don't stay up to midnight (because...why?) but the neighbors will wake us with their fireworks and other noise. Hopefully that won't last long. Gotta get up to watch the Rose Parade in Pasadena, CA. Oh, as for food, We were going to pick up a pizza (so easy!) but decided to clean out the 'fridge at Year's End. So, leftover roast, spinach quiche, corn bread, the last of the cheesecake, and sparkling apple juice in champagne flutes. We went into the city last night to enjoy the decorations, have a drink at the Fairmont and a nice dinner overlooking the Bay. Tonight it's just a movie and staying home. Easy appetizer...baked Brie with cranberries. We are home tonight. That is our tradition. Usually grill lobster tails, but couldn't find any locally this year! Instead, I'm making oil and garlic pasta with shrimp scampi and we'll have the home made French onion soup and the usual stuffed clam, stuff mushrooms, and cheese sticks (right out of the grocer's freezer counter) for appetizers. Hubs is a ham operator so he's participating in straight key night (the old fashioned keys like you see in Westerns) and I'll be dividing my time between reading and flipping channels to watch the Times Square festivities. We'll be asleep long before the ball drops, but the local fireworks will wake us. Chiming in late, for me. But I am at the Indianapolis Airport, Hank, your old stomping grounds, waiting for my sister to fly in from Canada, and then we will head up to Lafayette to visit our older sister and make her laugh for a few days in the hospital. Neither of my sisters drink so it'll be a challenge for me to hoist a champagne to anyone tonight and in fact I'll probably go to bed at 10. But I hope you all have a lovely celebration, and happy New Year! Happy New Year to you, Edith, and sending healing thoughts to your sister. So glad you can all be together! I just read a wonderful post by one of my favorite authors on her Facebook page. She was writing about New Year's Eve and she mentioned that her Dad called it Old Year's Night then she talked about her Dad's interest in Space and that one of her high school classmates was an astronaut! Watching the Crown marathon and catching up on my unread books list today. I always hang out with some friends on Sunday nights, and I'm heading over there in a little while. May watch some TV (what we normally do) or play games or both. Low key way to ring in the year, but more than I've done the last couple of years, which is stay home alone.